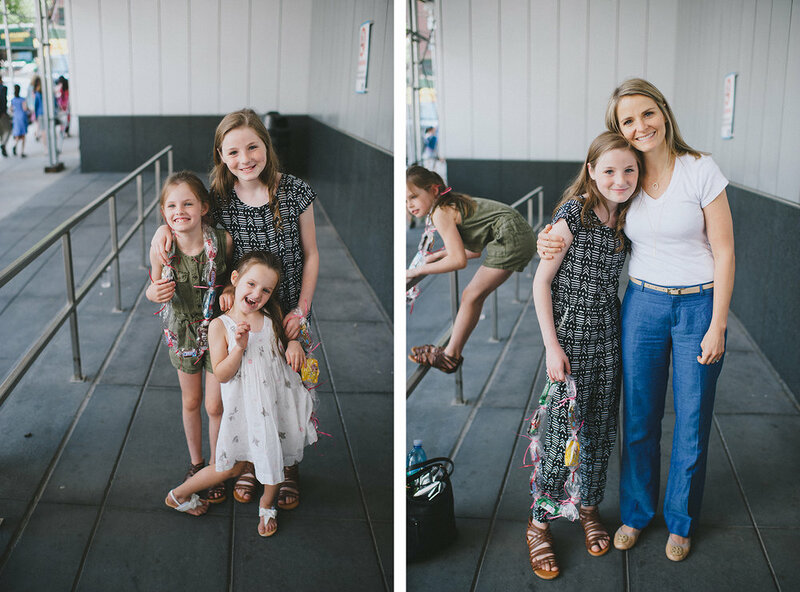 5th grade graduation in NYC is on another level- I have really never seen anything quite like it (outside of a high school graduation, but it wasn't too far off). They held it in a huge theater and had several graduation speakers and had all of the kids walk. It was a really great program and I'm glad they did it because its a milestone in NYC due to the crazy, intense middle-school process. School went until June 28, so it felt like ages after the rest of the country got out for the summer. Taylor loves a good celebration. In fact, she pretty much lives for them, so this was right up her alley. Afterwards, a big group of the parents met at a fun restaurant along the Hudson and ate lunch altogether. It was so fun to see Taylor and her cute friends that she's met this past year all move on. Most of them are at different middle schools than she will be at, but still live really close to us, so we are going to make sure they stay in touch. Taylor has made the best friends this year and has probably thrived more than any of my kids- its been really fun to witness. We got a small group of her friends together at our house earlier this week to make candy graduation necklaces. Still can't believe I have two middle schoolers...I love my girls getting older, but also really hate it at the same time. Love these 3 amigos so very much. Kate couldn't miss school on this day, but I'm sure she would have loved to be there. Tessa's last year "at home" with me...next year she will be off to kindergarten, so its kind of a graduation for her as well! Taylor got into West End Secondary for middle school (they'll be transitioning to a high school there as well, so she can stay for the next 7 years--hooray!!). We were able to get Kate transferred from her previous middle school to WESS as well and I am really looking forward to having them together at the same school next year. Congratulations sweet Taylor! !